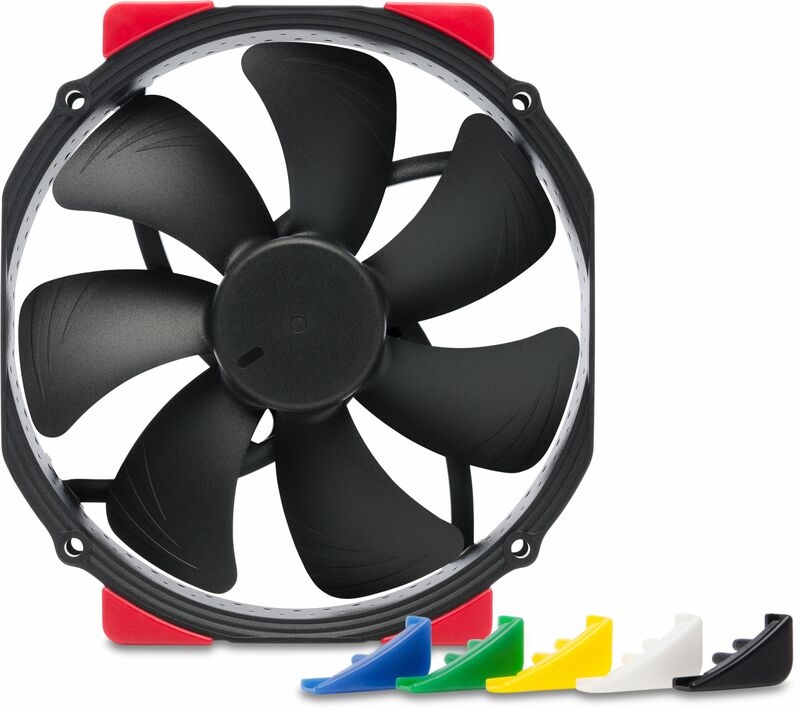 Premium grade quiet 140mm fan with swappable anti-vibration pads in six colours. Having received more than 100 awards and recommendations from international hardware websites and magazines, the NF-A15 is one of Noctua's most renowned and popular 140mm fans. Its 150mm wide round frame with 120mm standard mounting holes (105mm hole spacing) makes it ideal for use on CPU coolers such as the popular NH-D15, NH-D15S or NH-U14S. The chromax.black.swap edition combines the NF-A15's signature quiet cooling performance with an attractive all-black design and a bundle of swappable red, white, blue, green, yellow and black anti-vibration pads that allow the colour-customisation of the fan to match individual build colour schemes. For further customisation, a wide range of accessories such as coloured cables and anti-vibration mounts are available separately. Topped off with Noctua's trusted premium grade SSO2 bearing, more than 150,000 hours MTTF and 6-year manufacturer's warranty, the NF-A15 HS-PWM chromax.black.swap is the perfect choice for all users who value individual, focused build aesthetics just as much as class-leading quality and performance. 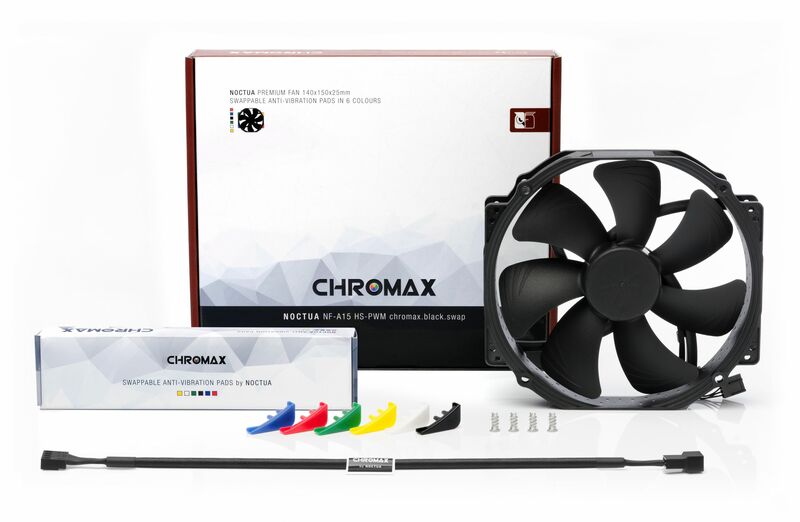 Maximising colour choices, Noctua's chromax.black.swap edition fans can be colour-customised using the included swappable anti-vibration pads as well as optional anti-vibration mounts and cables. This makes them ideal for enthusiasts looking for true premium-grade fans that can be colour-coordinated with popular build themes such as all black, black & white or black & red. Noctua's chromax line fans use a modular cabling system and come pre-fitted with a fully sleeved black NA-EC1 30cm cable. For refined colour coordination, white, red, blue, green and yellow 30cm NA-EC1 cables plus corresponding NA-YC1 y-cables are available separately.